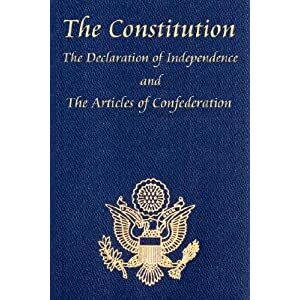 As reported by FoxNews, Wilder Publications believes it's necessary to put a disclaimer on the founding documents of this country, including the Constitution of the United States, the Federalist Papers, and the Articles of Confederation (precursor to the Constitution). Wilder apparently believe that these documents are in danger of being pulled from library shelves because they may be offensive to some readers. So in order to forestall a perceived potential offense among a hypersensitive minority, they have decided to guarantee the offense of the mainstream public. Astounding. "This book is a product of its time and does not reflect the same values as it would if it were written today. Parents might wish to discuss with their children how views on race, gender, sexuality, ethnicity and interpersonal relations have changed since this book was written before allowing them to read this classic work." In an interview with FoxNews' Trace Gallagher, Wilder company spokesperson Warren Lapine indicated that the company had received repeated complaints about the values expressed in the documents and had written the disclaim simply so that they didn't have to keep explaining that values differed 200 years ago. I'm not buyin' that sad, ignorant argument. These documents are the basis of every freedom we have. They are the only authority under which any of our elected or appointed officials are empowered to act. If we live in a better world than our ancestors did, it is purely because of the values that they codified in these specific documents. There is no reason whatsoever that parents should sit down with their children for a political correctness indoctrination session before allowing these documents to be read. A disclaimer, BTW, is intended to defend against legal liability. These documents ARE the law. Not only are they the law, they are, by every definition, above any law created under their authority. The disclaimer is therefore absolutely worthless from a legal standpoint; its only arguable worth being its propaganda value. Perhaps Wilder simply thought the country was more politically numb than it is. Sadly, from long experience I have come to recognize that these forms of "trial balloons" when sent up by the Far Left, are positive indicators of the tactics that they will bring to the mainstream 20 to 30 years from now. To that end they confuse - deliberately or not - the prevailing morals of the day with the ideals expressed in the Constitution by these same men in their attempt to build a future better than their present. Expect to see more of this argument, that the founding fathers' views were somehow offensive; and especially expect to see it couched in the assertions that "everybody knows" this to be true. This gradual re-definition of mainstream opinion through bold assertion and repetition has been their modus operandi for decades. Don't let them do it to the Constitution. In the meantime, my own response is to boycott Wilder Publications. I've seen blogs argue that they shouldn't be punished for simply pointing out the misogyny and racism of our founding fathers. These people miss the point, which is that Wilder should face the economic consequences of suggesting to their readership that free and unfettered access to these documents should be restricted to only those who have somehow been properly prepared for them. THAT'S the offensive portion of this disclaimer. This is a government of the PEOPLE... no portion of the governmental process should be walled off from the citizens of this country, and don't you ever, ever forget it. Let Wilder remain a small publisher or go out of business. Should you wish to add your voice to those reviewing Wilder's publication of these documents on Amazon.com, here's the link.